This magnificent city radiates endless energy and offers once in a lifetime experience as you wander around these incredible places in and around Varanasi. Now is the time to embark on a spiritual adventure. It’s the most sacred river in India for the Hindu religion. People from all over India and all over the world come here to take darshan of this holy river. It is considered as one of the favourite spots for a photographer who wants to document the spiritual essence of India. ‘The holy city of India’ is most longed for the moment of death for the Hindus, as it’s considered holy to bring the bodies of the dead people to Ganga and send their body into the water for the peace of their soul. 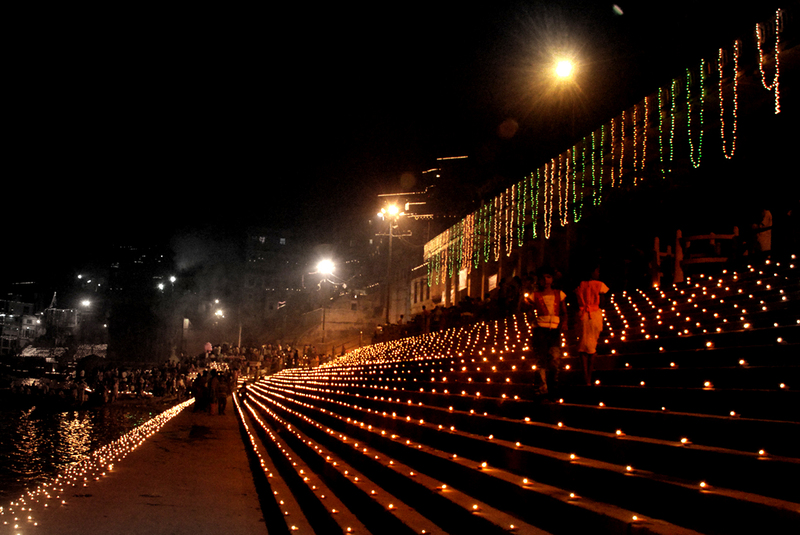 The Dashashwamedh Ghat on the banks of the river is the most celebrated ghat of all the ghats. The everyday evening aarti attracts a large number of the tourist crowd for which people from around the world start coming to the ghat at 5 to get the perfect view of the aarti. A maha Gange aarti at this ghat at Kartik Purnima attracts the largest crowd. Some tourists prefer to enjoy the view of the aarti from the boat at Ganga River. Sarnath Museum near Varanasi is the oldest site museum of Archaeological Survey of India. This museum alone is the home to 6,832 sculptures and artefacts. The museum has two verandahs and five galleries to exhibit artefacts that were found in the city of Sarnath. The museum has a small but brilliant collection of Buddhist artefacts, which includes a picturesque statue of Lord Buddha from the fifth century. The museum at Sarnath also comprises of an excellent collection of sculptures and figures from the Mauryan, the Kushana and the Gupta periods. The most attention catching piece of art at the Archaeological Museum is the Ashokan Pillar, which has four back-to-back lions, and which has been embraced as the National symbol of India. The typical Mughal style architecture fortification, Ramnagar Fort of Varanasi was built in 1750 by Kashi Naresh Raja Balwant Singh. The fort palace shines in vibrant colours during the one-month-long Ram Lila festival when people perform different episodes of Ramayana behind the fort. If you have a few days in Varanasi, the fort is worth your time. The fort has vintage American cars, a wonderful weaponry collection, jewel-encrusted sedan chairs and an extremely rare astrological clock. The Assi Ghat holds its significance to the great Indian history. It is said that Goswami Tulsi Das wrote his much celebrated ‘Ramcharitmanas’,sitting under the Peepal tree at the Assi Ghat.One could find the mention of Assi Ghat in lots of Indian literature like the Matsya Purana, Padma Purana, Kashi Khanda and a lot more famous references. The ghat is also referred to as “Saimbeda Tirtha”, according to which one gets the goodwill of all the Tirtha by taking a dip here in this ghat. If you are a nature person, Chandraprabha Wildlife Sanctuary is the place for you. This sanctuary is about 55kms away from Varanasi.Chandraprabha is ornamented with beautiful hangout spots, dense forests, and beautiful waterfalls like Rajdari and Devdari, attracting a large number of tourists. The park could be an El Dorado for wildlife lover as one can spot more than 150 species of birds, a huge number of animals, reptiles and flora. 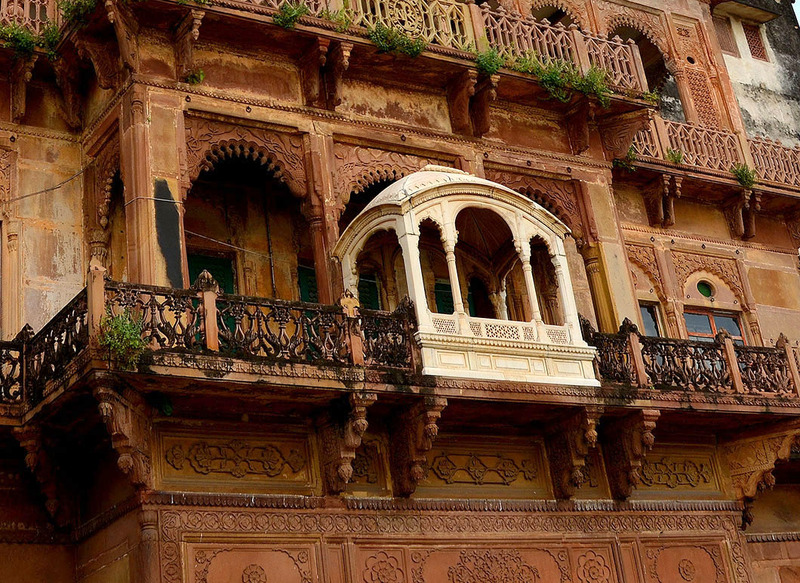 5 Best Airbnb rentals in India you absolutely need to rent soon!